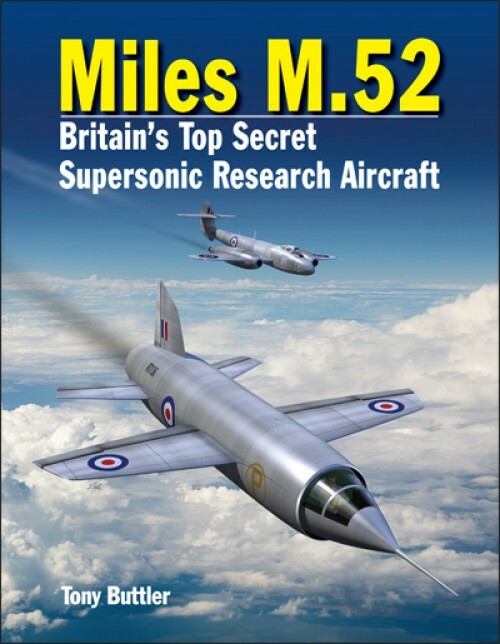 Miles M.52 tells the controversial story behind Britain's top secret program to develop the world's first manned supersonic jet aircraft. Illustrated with rare and previously unpublished photographs and drawings, this new book examines the Miles M.52 in detail and covers the incredible technical challenges faced in attempting to break the sound barrier. As early as 1943 it became apparent that supersonic flight might be an achievable goal, but not for the propeller-driven aircraft of the day. Spurred on by secret intelligence of a German supersonic long-range bomber project, work began on a British secret research aircraft that would potentially be the first manned aircraft to break through the sound barrier. Although Miles Aircraft were best known for producing light aircraft and basic trainers, their design team quickly rose to the challenge with a range of ground breaking innovations in airframe design and construction, flying controls, advanced materials and pilot escape systems. The jet engine, designed by Frank Whittle, was also revolutionary, including an early form of 're-heat' technology. By 1946 the project was about 90% complete with major technology and design features having been flight-tested on test-bed aircraft. Furthermore, on Government orders American personnel had been given complete access to the project, well before the Bell X-1 flew. What happened next has been mired in controversy, conspiracy theories and rumors to this day. 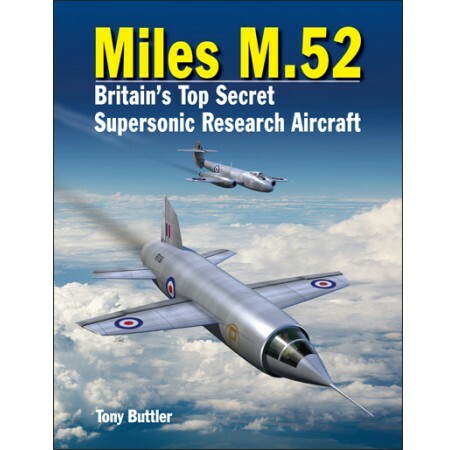 Exhaustively researched and illustrated through-out with rare and previously unpublished photographs, drawings and technical data, Miles M.52 finally tells the definitive factual story of the Miles M.52 project, gives an objective account of the controversy that grew around the aircraft, and describes the M.52's legacy to Britain's later supersonic aircraft. "A quality book at a very reasonable price." "A compelling and readable storyline. Impressive." Tony Buttler was born in England in 1956 and completed his education at Prince Henry's Grammar School in Evesham. He joined High Duty Alloys in 1974 as a metallurgist and for nearly twenty years was involved in the testing of aluminum and titanium airframe and engine components for all of the world's major aircraft. It was during this period that his great interest in aviation began to blossom. After leaving HDA in 1993 Buttler earned his Masters Degree in Archives and Library Studies at Loughborough University, and became a freelance aviation historian specializing in the design and development of military aircraft. His special interest in one-off prototypes and research types made co-authoring X-Planes of Europe a particularly enjoyable task.